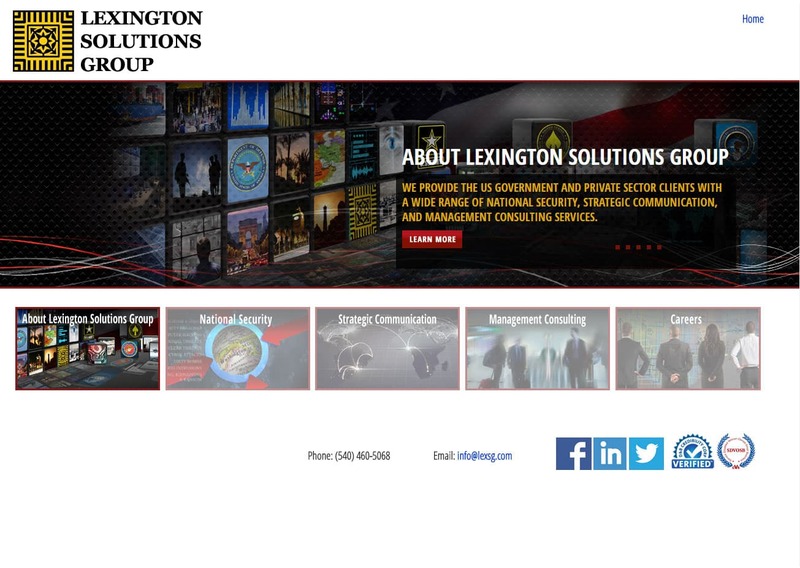 Website design Rockbridge VA | When Lexington Group Solutions required a website redesign they choose the creative team at VISIONEFX. Every step of the way the team at VISIONEFX worked with the Lexington Group to insure that all the custom Photo Shop graphics were accurate with respect to the order and display of Federal government logos and seals. The end result was a custom Word Press website, mobile friendly design that was a perfect creative fit for their new online website branding. We have an extensive portfolio of website design GSA consultants, GSA contract holders websites. VISIONEFX develops and designs websites for business and provides web design in Virginia and the USA.